Whether we are traveling or at home in our own city, why do we struggle to decide what to do over a weekend or on a free evening? Why do we have to head to the neighborhood mall, or stay home while we order in grocery and food? After simplifying travel for a decade we asked the question, can we trip without travelling? That question led to the introduction of Cleartrip Activities last year. Since then we’ve been thinking, what comes next? How does travel and activities fit together? How do we improve a product that all of you have made so successful? Cleartrip Local is a bold re-imagining of Activities and the answer to the questions we had. With 15k+ experiences catering to 200+ interests in 50+ cities, Cleartrip Local presents the most comprehensive set of experiences to go out and enjoy when you’re in your city or away travelling. With Local, we want to deliver awesome experiences in your city so that you can trip without travelling. 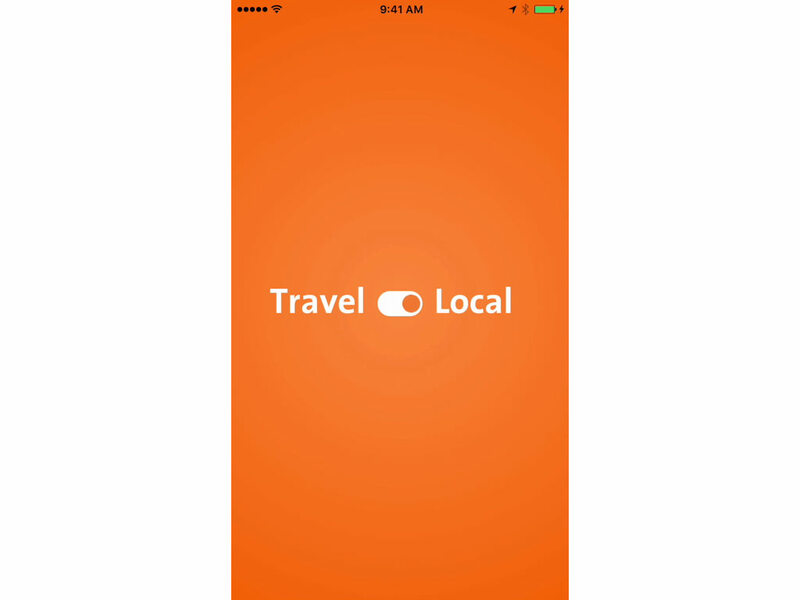 Separated from Travel by the simplest of switches, Local makes it easy for you to find the experiences you want. 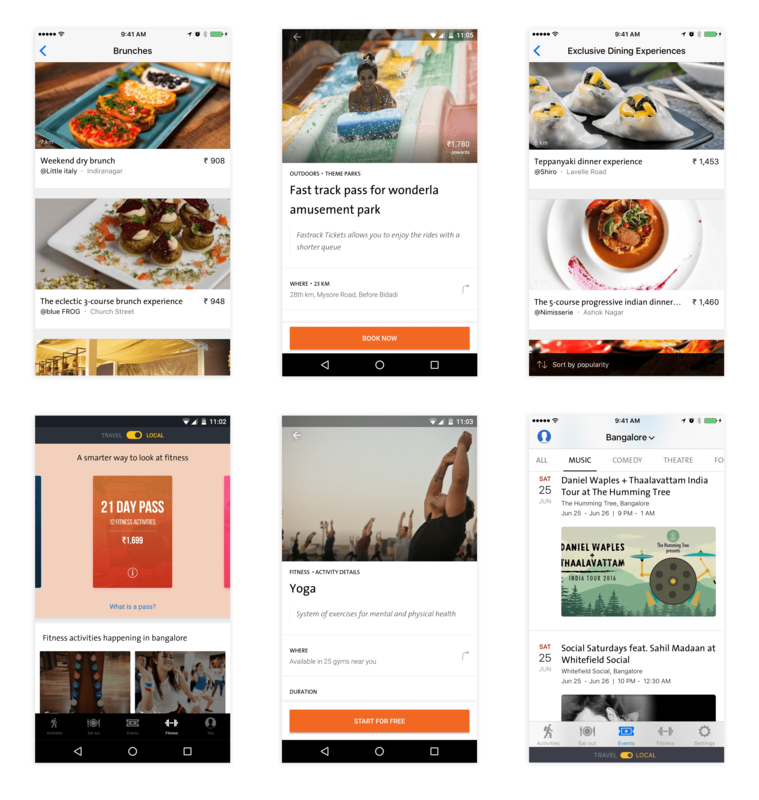 A completely new design makes it easier to browse through four distinct categories – Activities cater to every interest and age, Eat Out presents individually curated options for a great dining experience, Events tell you what’s happening in your city and Fitness presents a completely new way to get fit that may just, finally, help you meet your New Year’s goal. Imagine waking up on a Saturday and going out for a brunch. Then drive down to a theme park to spend the rest of the day. End the day with a delicious dinner by the pool. Start Sunday with a visit to the gym, any gym. Just pick from regular gym floors, zumba, yoga and more activities and go to any gym that offers it. Spend the evening watching your favorite play or listening to your favorite artist live. You’ll be spoilt for choice. When you want to travel, it’s easy to “switch” and book a flight or hotel. And when you want something in your city it is just as easy to switch to Local. So get up and step out, have fun, have a new experience anytime, every time. Everyone in the team has worked really hard and burnt the midnight oil to roll this out and we’re really proud with what we’ve built here. We’ll put out more posts soon, elaborating the magic that went behind the making of Local. Meanwhile, give it a spin and do let us know what you think about it. As always drop a line to mobile@cleartrip.com.